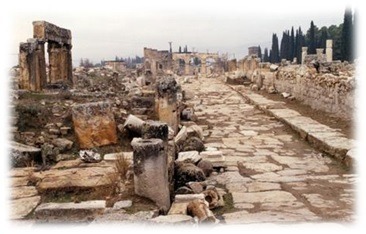 12:00 o’clock lunch at Pamukkale Restraurant. 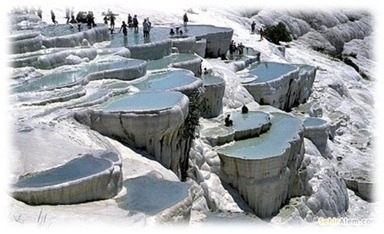 Visit to ruins of Pamukkale and visit to Cleopatra’s pool can be swim as required. 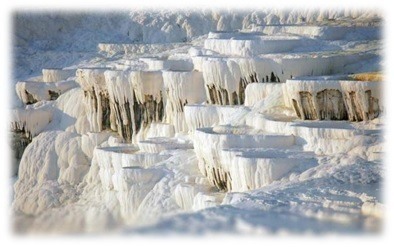 13:30 o’clock Visit to Ruins of Pamukkale (Snow Castle) – Antiuqe city with a guide , White Travertine section , Antiuqe theatre.